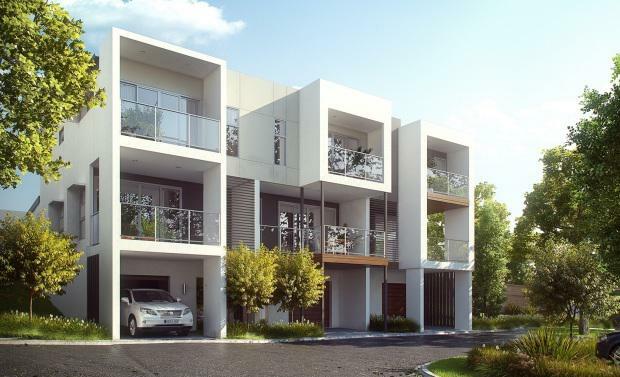 Construction has started on Mirvac's new $30 million Greystone Terraces community at Everton Park in northern Brisbane. The community, located on Russell Street, will include 56 executive terrace homes, with a central hub featuring a resort-style pool and barbecue area, priced from $515,000. Mirvac Queensland Development Director of Masterplanned Communities Russell Berlee said the developer had pinpointed the underlying demand for new properties in Everton Park and released Greystone Terraces to fill that void. "Buyers are drawn to the suburb because it ticks all the boxes in terms of employment, transport and lifestyle options, and with new developments such as the Woolworths and Masters project underway its appeal will only gain momentum. ""We believe Everton Park has been one of Brisbane's hidden gems, and with millions of dollars being poured into major projects and infrastructure in the area, its future is very bright indeed. "Mr Berlee’s comments follow new research that shows Everton Park has more than $60 million worth of retail, residential and transport infrastructure development in the pipeline, as well as a growing population. An in-depth report by analyst Peter Bell, principal of Urban Supply Intelligence, found Everton Park's location and proximity to key social, recreational and transport infrastructure was driving its population and property growth. He said, overall, Brisbane was one of the fastest growing regions in Australia, and the residential property market, which had lagged Sydney and Melbourne, was starting to move. “This positive state of the city-wide market, and the potential for growth, is amplified in Everton Park for a range of reasons,” said Mr Bell. “There is a significant amount of money being spent on infrastructure and facilities in the suburb, and all at a time when the area is being discovered by a range of market segments, including young families and single professionals, resulting in historically high population growth. “Brisbane is generally far more affordable Sydney and Melbourne, with the median price for a house in Brisbane approximately $280,000 less than in Sydney, and the Melbourne differential $120,000, as at September last year. "As a result, we believe Brisbane is well positioned for a growth phase, with the suburb of Everton Park set to be a standout. "He said Everton Park had recorded an average annual price growth rate of 8.9 per cent for attached residential, including townhomes and apartments. He also said population growth would continue to drive price growth. "Research predicts Everton Park will experience an annual population growth of 1.8 percent until 2016 and then 2.4 percent from 2016 to 2021," he said. "The majority of growth from 2006 to 2011 has been people aged between 20 to 34 years and 35 to 44 years, which is critical for driving future fundamental demand, as their propensity to form a new household is high.